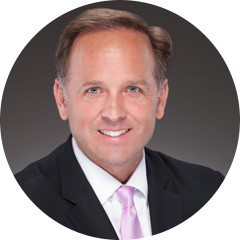 I am so honored to announce that the Scheduling Institute has won its 5th Townie Choice Award from Dentaltown in the category of “Consultants and Advisors”. We are so grateful for the hundreds of dentists who voted for us, and we want you all to know how much we appreciate your continued support. A few months ago, I made a pledge to donate $10,000 to the Smile Train if we were able to win another Townie Choice Award this year. I can’t describe to you how happy I was to fulfill that pledge today. I wanted to leverage our success to spread awareness of non-profit organizations like the Smile Train, who work hard to impact the lives of those in need. While it is always exciting to be recognized by the people you work with on a daily basis, I think it is even more important to use your successes as opportunities for impact. 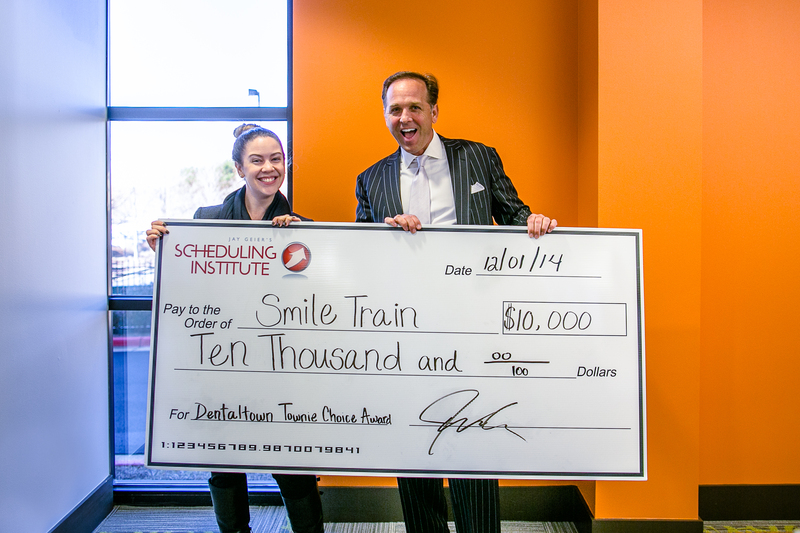 That’s why I pledged a donation to the Smile Train if we won the award… I wanted to set an example for the whole Scheduling Institute team. I am the leader of my team, and the decisions I make impact them on a daily basis. I could let my competitive side take over, and make the fact that we won our 5th Dentaltown Townie Choice Award the center of my team’s focus… I could talk about it at meetings and advertise it constantly. But that’s not what we’re all about. That isn’t who we are. And if you know me, you know that to be true. I wanted this award to be an opportunity for generosity, because I want my team to lead lives of generosity, just as I advise my clients to lead their lives. I wanted to remind them that success is important, but what you are DOING with your success— the impact you are able to have on those around you— that is what defines you as a person. So, thank you again to everyone who supported us. I hope you know that I would do the same thing for you, and that I have an enormous respect for the generosity of our clients. Honestly, you all are some of the most generous individuals I’ve ever met. Nothing makes me more proud than knowing that six of our doctors and their teams have given up weeks of production for the chance to serve families in Costa Rica on dental mission trips. Or how many of our doctors choose to host yearly Dentistry from the Heart events, providing dental care to those in the community that can’t afford it. THAT is what success is all about. The greater your successes, the greater your impact. So, celebrate them!! Celebrate the difference you are making. And if you haven’t made the decision to commit to a life of intentionality and impact, I hope you’ll consider it today. If you haven’t talked to us yet, pick up the phone and call 844-242-1992. We want to make a difference in your Practice, your life, and the lives of those surrounding you. I want to let you know that of the 399 dentists that voted in the “Consultants and Advisors” category, 230 voted for the Scheduling Institute! That is 136% more than the combined votes for the other ten companies!! If that tells you anything, it should be that we are GOOD at what we do, and we care about the doctors and Practices we work with! IMPACT is my reason for working hard every single day.